“Within hours we were being pressured from all sides to make a statement regarding a video clip which purportedly showed students from Covington Catholic High School being disrespectful to Native American Elder Nathan Phillips,” Bishop Roger J. Foys wrote in a letter. 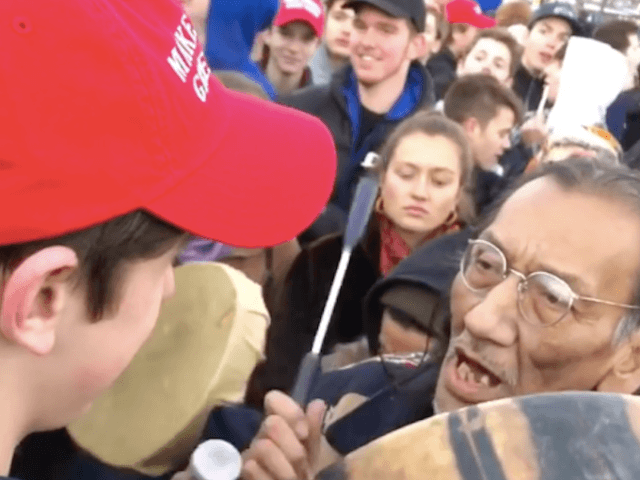 In a January 19th statement, the bishop criticized Covington Catholic students and signaled out Nicholas Sandmann for smirking while standing in close proximity to Native American activist Nathan Phillips as he sang and drummed near the Lincoln Memorial. “This behavior is opposed to the Church’s teachings on the dignity and respect of the human person. The matter is being investigated and we will take appropriate action, up to and including expulsion,” the initial statement read. At first, Sandman was accused of mocking Philips, smirking at him, and blocking him from leaving the area where the two stood face-to-face — however — additional footage proves it was the activist who approached the student first and was in no way prevented from leaving at any time.